The president of a company planning a mine in Yukon is asking the federal, Yukon, and First Nations governments to "find a solution to address the outstanding issues within Bill S-6." CBC News has obtained a copy of a letter from Paul West-Sells, president of the Casino Mining Corporation, to Aboriginal Affairs minister Bernard Valcourt. Bill S-6 is currently before Parliament and would amend Yukon's Socio-economic and Environmental Assessment Act (YESAA). In the letter, West-Sells asks Valcourt to recognize the company's concerns about "the fragility of intergovernmental relations in the Yukon surrounding Bill S-6 and the negative impact this is having on the territory's mineral industry." West-Sells says it's "imperative" that YESAA has the "broad support" of all governments, "to ensure the confidence of both project proponents and Yukon residents in the YESAA process and to facilitate investment in the territory." The company's Casino project is before the Yukon Environmental and Socio-economic Assessment board for screening. The proposed copper and gold mine would be located near Carmacks, about 300 kilometres northwest of Whitehorse. It has an expected lifespan of 25 years, and would employ an estimated 600 people annually. The letter was sent last week, with copies to Yukon Premier Darrell Pasloski and Council of Yukon First Nations Grand Chief Ruth Massie. Meanwhile, nine Yukon First Nations representatives met Monday with Valcourt. The coalition of First Nations is strongly opposed to the changes to YESAA proposed in the bill, saying they would undermine the umbrella final agreement. 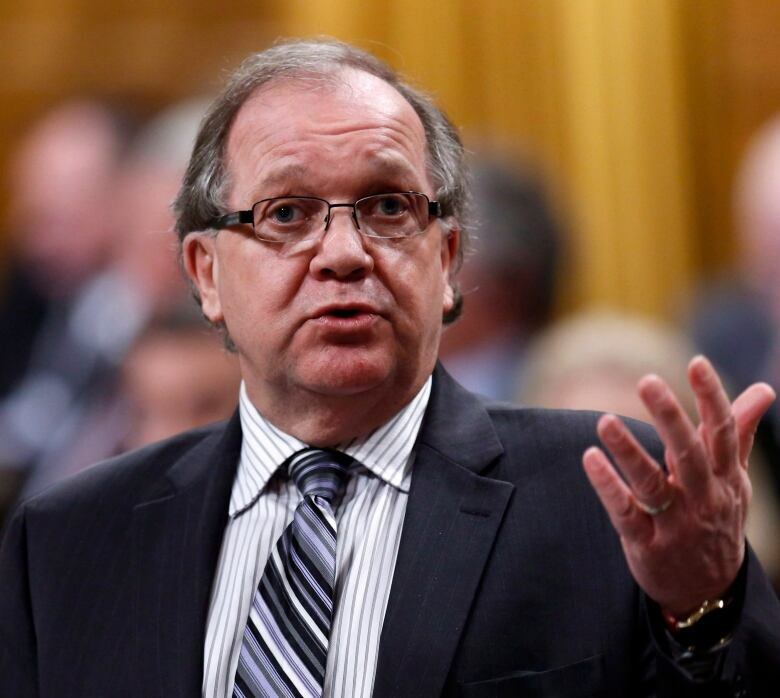 They were hoping for some give on the legislation but instead Valcourt told them — and later, the House of Commons — that adequate consultation had taken place. "If the First Nations claim that we have failed in our duty to consult, the court will determine the issue and they are welcome to use the courts," he said. The Yukon chiefs also say Valcourt told them in the meeting that the four controversial amendments to YESAA were added at the request of Yukon Premier Darrell Pasloski. That has dismayed and shocked the coalition. Little Salmon Carmacks chief Eric Fairclough said "it surprised us because the premier said he's not defending the bill ... when in fact, he sent a letter to make these changes, particularly the four that we outlined. One of them is the delegation of powers from the federal minister to the territorial minister." Fairclough said the chiefs are feeling discouraged by the reception with Valcourt, and by the debate in the House. "Now we feel like our involvement will be more minimal than it was in the past, and we just feel right now that we are being backed up into a corner and we're going to have to defend our final agreements," he said. The coalition met with NDP leader Thomas Mulcair Monday, and will meet with Yukon MP Ryan Leef Tuesday.